Contact us 410-541-6DUI (384) Email us info@gklinelaw.com For nearly two decades, I have been representing individuals and businesses in courts throughout Maryland. I have helped my clients with a wide variety of legal matters. 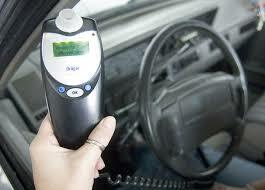 Here is a useful video that explains how a breathalyzer works. In the coming legislative session, the Hogan administration will again introduce the Repeat Drunk Driving Offenders Act, which creates a felony offense punishable by up to 10 years for anyone convicted of a drunk or drugged driving offense on three or more prior occasions, as well as anyone convicted of causing a death or a life-threatening injury on their second and/or subsequent offenses. With changes in the legislative committees of the Maryland General Assembly who hear these kinds of bills, the likelihood of passage of tougher penalties for alcohol related driving offenses has increased. With increasing penalties for subsequent convictions, it is more important than ever that you have experienced counsel representing you even on your first offense. You can read more about this legislation here. On October 1, 2016, Maryland's laws regarding drunk driving changed as "Noah's Law" went into effect. For the first incident is 6 months. For the second incident, it is 1 year. And for the third or a subsequent incident, it is 3 years. If you receive a DWI after refusing to take a chemical test (the court shall require mandatory interlock) and you will be required to participate in the program for 1 year. If eligible, the drunk driver may immediately opt-in to Maryland’s Ignition Interlock Program instead of serving the suspension period. An individual participating in the program can only operate motor vehicles that are equipped with an ignition interlock device. Governor Larry Hogan led the effort to allow individuals to opt-in to the ignition interlock program through regulations finalized in March 2016. Under Noah’s Law, individuals who are detained on suspicion of committing an alcohol-related driving offense -- and either refuse a chemical test or have a test result of 0.08 BAC (blood alcohol concentration) or higher -- can elect to participate in the ignition interlock program immediately instead of requesting an administrative hearing to dispute the charge. Noah’s Law mandates successful completion of the ignition interlock program, which includes the final three consecutive months with no violations before release from the program. Noah’s Law also significantly increases driver license suspension periods for immediate Administrative chemical test failure and refusals. Enhanced penalties still apply for drivers under the age of 21; drivers who have a previously imposed alcohol restriction; drivers with a commercial license or driving a commercial vehicle; and for those with previous drunk driving convictions." The biggest change is that all drivers will be required to participate in the ignition interlock program. Prosecutors are also publicly stating that they will ask judges to impose ignition interlock on drivers. With more severe penalties, it is more critical than ever to have an experienced attorney guide you through this process and assert every available defense in both criminal court and administrative proceedings. Call our office today for more information at 410-541-6(DUI) today. If you make your living driving under a state issued Commercial Drivers' License (CDL), you know how important it is to protect your CDL and your ability to earn a living. While it is certainly never a good idea to get an alcohol related driving charge, CDL holders need to know what is at stake when they are pulled over, arrested and asked to submit to a breathalyzer. This is true even if the arrest occurs while driving your private car outside of work. Unfortunately, a recent court decision from Maryland's highest court will make it even more difficult for CDL holders to know the right thing to do. The case MVA v. Seenath, dealt with a CDL holder who was arrested for a DUI while driving his personal vehicle outside of work. Maryland regulations require that before someone's licence can be suspended for a DUI the consequences of taking or refusing a breathalyzer must be fully explained. This was not done for Mr. Seenath particularly with regard to the impact his arrest would have on his CDL. "The Advice of Rights form does not violate due process as applied to this case, as the record contains no indication that Seenath was misled by the Advice of Rights form, and Seenath was not at all prejudiced as a result of his decision to consent to take an alcohol concentration test. The Advice of Rights form is not misleading concerning a commercial driver’s license holder’s eligibility for a restrictive license where the commercial driver’s license holder drives a non-commercial motor vehicle and fails an alcohol concentration test; stated otherwise, the Advice of Rights form comports with due process." This CDL driver had no idea that agreeing to a breathalyzer test would result in the suspension of his CDL without any chance at a modification. The Court's decison states that a police office was not obligated to tell the CDL driver about that impact because he was driving a non-commercial motor vehicle when he was arrested. Simply put, if you have a CDL and get pulled over for an alcohol related driving offense, you need legal advice immediately. The police won't explain to you that you will lose your CDL whether or not you submit to a breathalyzer and the courts say they don't have to. Keep our number 410-541-6DUI (384) handy. We are available anytime to speak on these matters. Governor Hogan has proposed changes to the adminstrative regulations dealing with drunk driving. Please contact our office to learn more about how these changes could affect you. ANNAPOLIS, MD – Governor Larry Hogan today announced an expansion of Maryland’s Ignition Interlock program, which will help save lives by reducing the number of drunk drivers on Maryland roads. Beginning in 1989, Maryland’s Ignition Interlock program instituted a device that prevents a car from starting when it detects a certain level of alcohol on the driver’s breath. Under current regulations, drivers who register a 0.15 blood alcohol level or higher are allowed to opt-in to the program and keep their license without having an administrative hearing, while those who register 0.08 to 0.15 are not allowed to opt-in to the program. Governor Hogan’s proposed regulations will allow all of these drivers the option of participating in the ignition interlock program and therefore, the ability to keep their license without an administrative hearing. In addition to expanding the number of people that can opt-in, the new regulations also will bring Maryland in compliance with ignition interlock device standards set by the National Highway Traffic Safety Administration. On average, there are 7,884 impaired driving crashes across Maryland in any given year. In those crashes, 170 people die every year due to impaired driving. All of these fatalities are preventable. In Maryland, drivers with a BAC of .08 or higher are charged with Driving Under the Influence (DUI) and those with a BAC of .04 are charged with Driving While Intoxicated (DWI). Maryland’s ignition interlock program has approximately 11,000 participants and is monitored by the Maryland Department of Transportation’s Motor Vehicle Administration (MVA). The MVA has implemented an automated comprehensive ignition interlock program, which efficiently monitors participants and allows the MVA to take action against program violations. Recently, Maryland's highest court ruled that the denial of your right to consult with an attorney before deciding whether "To Blow Or Not To Blow" will not prevent the Motor Vehicle Administration from suspending your license. In the case MVA v. Deering, the Maryland Court of Appeals stated "Even if a suspected drunk driver is denied the opportunity to consult counsel before deciding whether to take the breath test and might have a test refusal or a test result excluded from evidence in a criminal case, the driver may not avoid the automatic administrative license suspension." Ms. Deering was arrested for suspected drunk driving and was taken to the local police station. This station lacked the equipment to give the breathalyzer test required by statute and took any drunk driving suspect to the closest Maryland State Police barracks. Given the limited time that officers have to give the breathalyzer test, the local police refused Ms. Deering's request to speak with an attorney. The court noted that other similar requests were also denied. With recent changes in the law, the decision whether to take or refuse the breathalyzer test (which I discuss in detail here) is more critical than ever. Having a consultation with counsel before making this decision can save you from making the wrong choice. However, as the Court notes, time is extremely limited and the police simply can refuse to allow you to contact an attorney. The key is to be prepared. Keep our firm's number 410-541-6DUI [410-541-6384] handy or program it into your phone. We are available to answer your calls anytime and often take calls late at night and on the weekends when arrests often occur. Call as soon as you can and insist that you be given an opportunity to contact an attorney. Even if a denial to consult counsel does not affect the suspension of your license, it can help you in a criminal prosecution. For your convenience, we have combined some of our best advice to the most commonly asked questions in one legal guide. As always, you can call us at 410-541-6DUI for answers and advice. One issue I consistently see in my DUI practice is clients not knowing their rights when they are pulled over. Most people who are arrested for drunken driving have never committed a crime or been arrested and are otherwise law-abiding citizens with little or no contact with the police or the criminal justice system. As such, when an officer pulls them over and asks them "Have you been drinking?" they dutifully answer the question. Often, they say they had "a couple of beers" or a "couple of drinks". I have seen similar statements in practically every police report I have read as part of a DUI arrest. Sometimes the statement is true and sometimes the driver is trying to downplay his alcohol consumption. In every case, this statement was used against the driver to prove they consumed alcohol before they operated a motor vehicle. It was also used to justify the officer's decision to arrest the driver and give them a formal breathalyzer test. 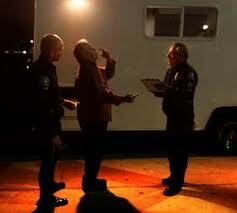 Even though no officer will ever say it, you do not have to answer their question "Have you been drinking?" The Fifth Amendment still exists. I recommend that a driver politely say "Respectfully, officer, on the advice of counsel I refuse to answer that question." Some think that saying this will increase the chances they will be arrested but I disagree. Admitting to drinking, even a "couple of beers" absolutely will increase your chances of being arrested and make the job of convicting you of DUI much easier. So please remember that an officer cannot force you to testify against yourself even if you are driving a car. Now, this is different from whether the take the breathalyzer test, which I will discuss below. The MVA will take administrative action against you if you refuse to take this test and the officer must advise you of this before you make any decision. At this point, you have the right to consult an attorney and you should attempt to do so. One of the most common questions I get as a DUI lawyer is whether someone should take the breathalyzer test when arrested for drunken driving. In this post, I will discuss the pros and cons of this decision and provide what general advice I can. Changes in the law, however, make this decision much more complicated and really require that you contact an attorney immediately when you are arrested and before you actually choose whether to blow or not to blow. You have the right to counsel at this critical juncture and you should take advantage of it. You can call our office at 410-541-6DUI (384) 24 hours a day and speak directly with me. Keep this information handy in case you need it. Maryland is an "implied consent" state. This means that by having a driver's license you are consenting to breathalyzer testing whenever an officer has reasonable grounds to believe you are operating a motor vehicle under the influence of alcohol. While you have a Fifth Amendment right to refuse the breathalyzer test, you will receive a more severe administrative sanction if you refuse the test. In addition, the prosecutor may seek a more severe criminal sanction (TR 27-101) for refusing the breathalyzer test. If you consent to the breathalyzer test and have a blood alcohol reading between .08 and .15 your license will be suspended for 45 days (on a first offense). This suspension may be modified to allow you to drive for limited purposes such as driving to work, school or alcohol treatment. If you refuse the test or if you take the test and have a reading of .15 or more your license will be suspended for 120 days and may only be modified if you agree to ignition interlock in your car for at least one year (again for a first offense). Now, before the law was changed to treat those whose blood alcohol level of .15 or higher the same as those who refused the test, I advised first time offenders to take the test as the administrative sanction for refusal was likely to be worse than the likely sentence in a criminal case. Unfortunately, if you take the test and blow .15 or over you lose both on the criminal side and the administrative side. The advantage of refusing the test is that the State's Attorney will have one less piece of evidence to convict you in court. As we discussed a prior post, the purpose of an officer's asking you if you have been drinking, giving you field side sobriety tests, etc. is to build the case against you. The Fifth Amendment gives you the right to refuse to incriminate yourself whether it is to refuse to answer the question if you have been drinking and to refuse any tests that will be used against you in a court of law. The breathalyzer test result is the most critical piece of evidence used in court and without it the job of convicting you on the most serious alcohol related charges is much more difficult. The bottom line is this. For most first time offenders, the administrative sanction of refusing to take the breathalyzer is still worse than the likely criminal sanction unless of course your BAC is .15 or higher and then it is the worst of both worlds. There is no way to know what your blood alcohol level is short of taking some test and if you have been drinking your judgment in figuring how drunk you are is impaired. That is why it is so important to contact an attorney for sober, thoughtful analysis and advice. If the police refuse to allow you to contact an attorney, that may be used to prevent the MVA from taking action against you. We have covered some issues involved during a drunken driving arrest. But now let’s discuss what you need to do after you have been arrested. So it is the next day. You may need to get your car out of impound and you have a legal mess facing you. Of course, the very first thing you should do is contact an attorney and begin the process of dealing with the charges you face. In Maryland, drunken driving charges have two separate tracks, a criminal track, where you can face jail time or probation, and an administrative track, where your privilege to drive is at risk. If you are a Maryland driver you should receive, as part of the many documents given to you by law enforcement, a temporary license and a request for hearing form. It is critical that you complete this request form and return it to the Maryland Office of Administrative Hearings along with a check for $125 made payable to the "Maryland State Treasurer". Under Maryland law, your privilege to drive will be automatically suspended on the 46th day after your arrest unless you request a hearing within 10 days of your arrest. So completing this request is the most important thing you need to do after being arrested on drunken driving charges. With a timely request, you can continue to drive normally until the date of your hearing. You may request a hearing up to 30 days after your arrest. However, if your request is made more than 10 days after your arrest your license will still be automatically suspended on the 46th day after your arrest. You do want to have a hearing. At a hearing, you can challenge the evidence against you and possibly convince the hearing judge to take "no action" against your license. Even if you fail to do this, you can have the suspension modified in order to allow you to drive, under certain conditions. If you do nothing, your license will be suspended automatically. So, the first thing you do after getting arrest and contacting an attorney is to properly request an administrative hearing. I know you really do not need another reason not to get a DUI. Potential jail time, loss of driving privileges, mandatory alcohol treatment all seem good reasons to avoid getting arrested for drinking and driving. 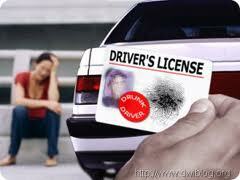 There is another reason why you do not want to be convicted an alcohol related driving offense. You can never expunge it from your record. In Maryland, the statute that provides for expungement of criminal records (Md. Ann. Code, Crim. Proc. 10-105) expressly excludes a drunken driving charge ("a violation of 21-902 of the Transportation Article") from being expunged. This means that even a probation before judgment (PBJ) for drunk driving can never be removed from your permanent criminal record. The reason for this is that a defendant may not get two PBJ's within a ten year period and the State needs to keep records in order to enforce this statute. However, even if ten or more years has passed you still cannot obtain an expungement. Bottom line, a drunken driving related charge is always going to stay with you. Another reason not to get a DUI.